On the Allen Flame staff for the second year is sophomore, Nikayla Kussatz from Gardner, Kan. Kussatz attended Gardner-Edgerton High School where she was active in her school's yearbook class while also playing softball and volleyball. While in high school she was able to get some experience in the newspaper due to her helping out with her school paper when she was needed. Being a part of Allen’s online student paper, Kussatz is hoping to not just learn more about the newspaper, but also heightening her writing skills. While attending Allen, she plans on majoring in pre-nursing and is also on an academic scholarship. She became interested in nursing after she worked at a rehabilitation hospital over the summer of 2018. She has her CNA and wants to continue helping people in the future. 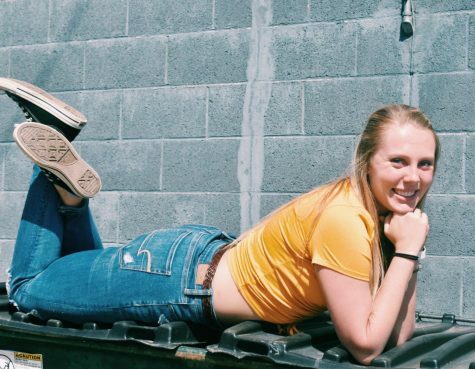 Of all her classes so far this semester, Kussatz says she really enjoys anatomy and physiology because she likes learning about the human body. Her main goal for this year is to not flunk any classes and to get into nursing school. After finishing at Allen, she plans on transferring to Pittsburg State, Emporia, or to Washburn University to major in nursing. A few fun facts about Kussatz are: she is the oldest sibling; in her free time she likes to take long naps or go work out; and she can catch grapes in her mouth. Those wanting to know more about her can follow her on Twitter and Instagram @nnnikayla.